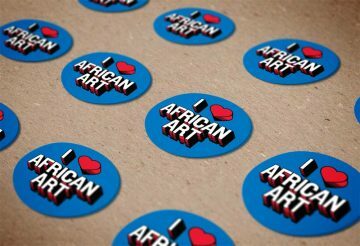 In 2016, the museum announced a new initiative: the African Art Awards. 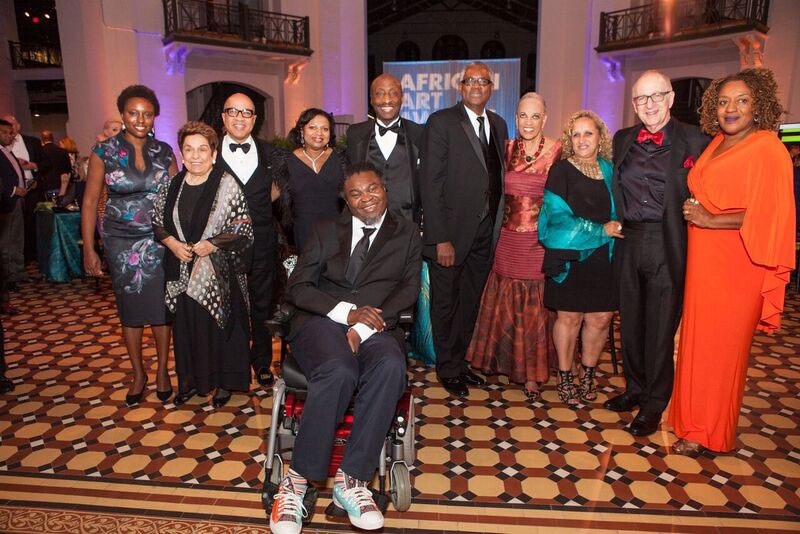 An annual event, these awards recognize the best in African art and arts philanthropy and commend our awardees at a black-tie dinner. 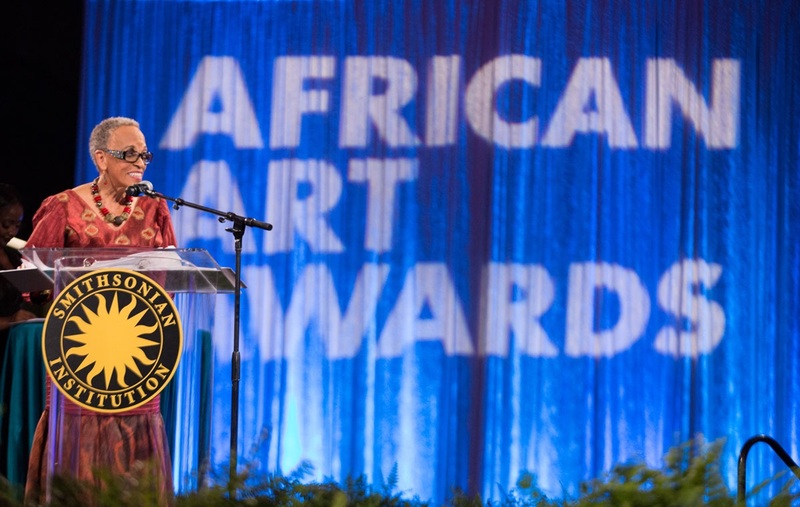 The first annual African Art Awards Dinner was held on October 28, 2016 on the National Mall, in the newly reopened Arts and Industries building. It was an amazing evening! 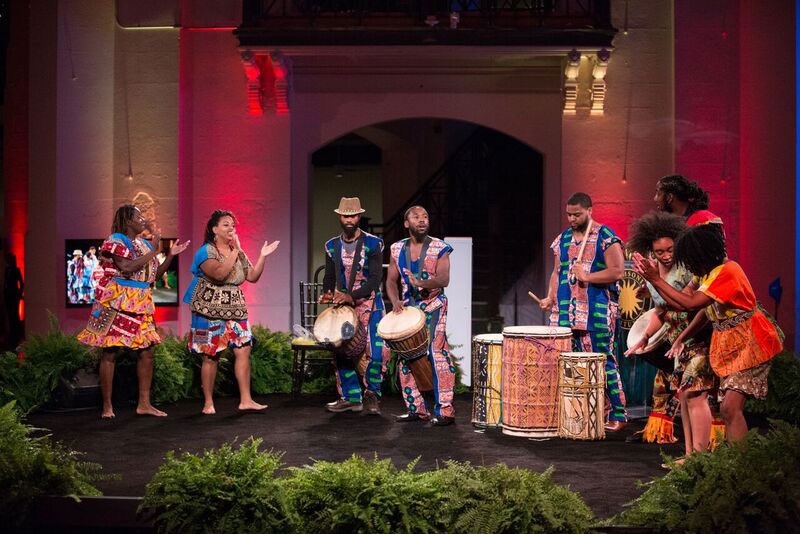 Our honorees acceptance speeches inspired us, a dinner designed by Marcus Samuelsson and a performance from Coyaba Dance Theater celebrated the occasion, and we raised our glasses as we honored the vital work of the National Museum of African Art. We are proud of this year’s honorees. Click on Malinda and Shonibare’s images below to watch their introduction videos from the dinner. A pioneer of performance arts in Kenya, Ato Malinda creates sophisticated, challenging works of art that compel conversation related to the rights and conditions of women, LGBTQ communities, and the perception of Africans and Africa worldwide. Her diverse practice includes performance, drawing, painting, installation, video, and ceramics as she investigates the hybrid nature of identity, contests circumscribed notions of authenticity, and often focuses on concepts of gender and female sexuality. Ato Malinda was born in 1981 in Kenya and grew up between Kenya, the Netherlands, and the United States. She received her MFA from Transart Institute in New York. 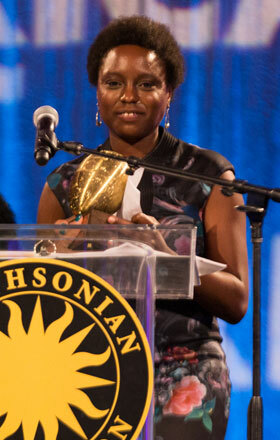 In 2015, Malinda was one of the awardees of the Smithsonian Artist Research Fellowship and won the One Minutes Award in 2012 for moving photography. Her solo shows include Games (2013) at Savvy Contemporary, Berlin, which centered on sexual abuse, and Incommensurable Identities (2011) at New York’s Aarhus Art Building, which examined tenuous relations between Europe and Africa. Her work has been shown in group exhibitions at the Brooklyn Museum (2016), the Louisiana Museum of Modern Art in Copenhagen (2015), the Smithsonian National Museum of African Art (2015), the Museum für Moderne Kunst Frankfurt am Main (2014), and Salon Urbain de Douala in Cameroon (2010), among others. Malinda currently lives and works in Rotterdam. 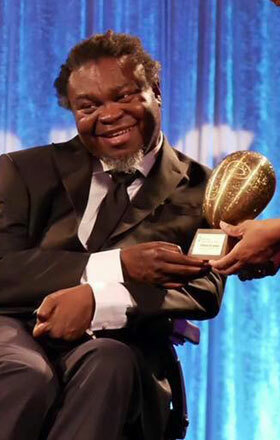 Over the past decade, Yinka Shonibare MBE has become well known for his exploration of colonialism and postcolonialism within the context of globalization. Working in painting, sculpture, photography, film, and performance, Shonibare’s work examines race, class, and the construction of cultural identity. Through sharp political commentary of the interrelationships between Africa and Europe’s economic and political histories and wry citations of Western art history and literature, Shonibare questions the validity of contemporary cultural and national identities. Shonibare was born in the United Kingdom in 1962 and moved to Lagos, Nigeria, at the age of three. He returned to London to receive his MFA from Goldsmiths College, a part of the “Young British Artists” generation. He gained notoriety on the international stage via his commission for Okwui Enwezor’s Documenta 10 and was a Turner Prize nominee in 2004. In 2005 he was awarded the decoration of Member of the Most Excellent Order of the British Empire, a title that he officially added on his professional name. His works were featured in the 52nd Venice Biennale and a major mid-career survey toured from 2008–09. In 2011, the artist’s sculpture Nelson’s Ship in a Bottle was selected for Trafalgar Square’s prestigious commission series. Shonibare’s works are included in many prestigious public collections spanning the globe. He currently lives and works in London’s East End. Founded in 1936, the Ford Foundation has consistently sought to advance human welfare through philanthropic programs that reduce poverty and injustice, support democratic values, and advance international cooperation and human achievement. In 2016, the foundation announced that every grant it awards will be directed toward fighting social inequalities worldwide. The core tenets of the foundation’s mission have been bolstered by its leaders’ sustained dedication to the arts. 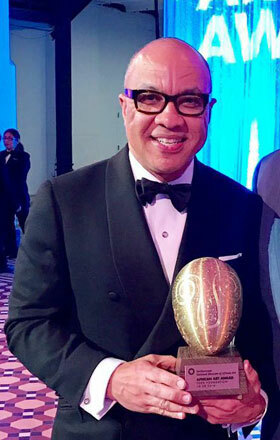 Since Darren Walker joined the Ford Foundation in 2010 and became its president in 2013, he has worked to advance the values of the foundation, including the importance of arts institutions within communities. 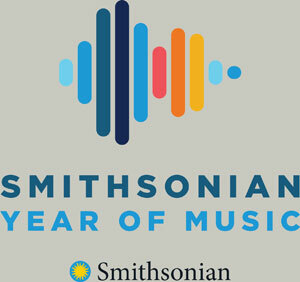 In 2015 the philanthropy launched a yearlong effort centered on the ways art and culture illuminate and address critical issues of equity, opportunity, and justice. The foundation actively supports increasing diversity and inclusion in staffing and programming at museums. As Walker has stated, “museums are public institutions and need to reflect the public.” The Ford Foundation’s support of this ideal has encouraged museums to become more open for all to feel welcome and participate in an enriching, cultural experience that promotes creativity, knowledge, and equality. The generosity of our supporters made the evening extra special. Thank you! Every penny raised during the evening went to directly support the Johnnetta Betsch Cole Fund for the Future. 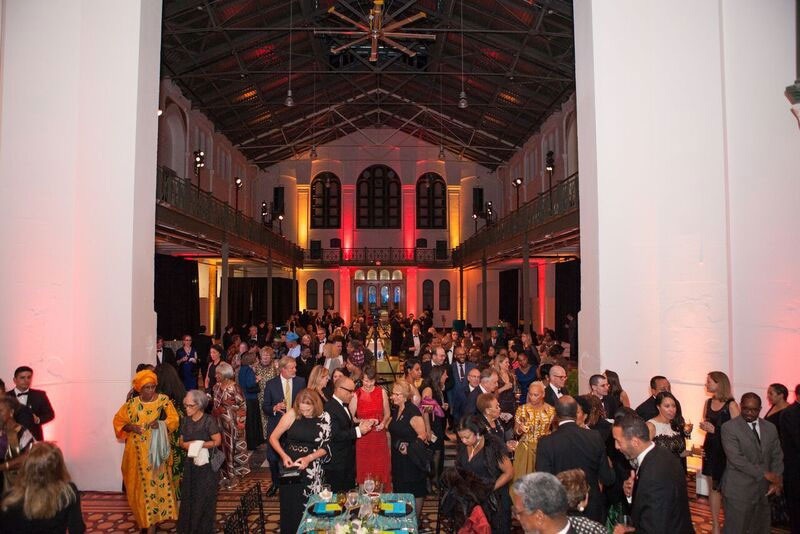 This fund is about looking forward, and, with your help, it will support the museum’s mission, now and forever: To inspire conversations about the beauty, power, and diversity of African arts and cultures worldwide. And even though the Awards Dinner is over, it doesn’t mean you can’t still donate! It’s easy: either visit our donate page or simply text your pledge to 202.836.6622. No donation is too small—we appreciate your generosity. You make what we do possible.